Crater Lake National Park is a color study. It must be the source of what we call “blue”. Often I notice that a macro view of my photography becomes a blur of blue - the deep blue of oceans, the pure blue of skies. 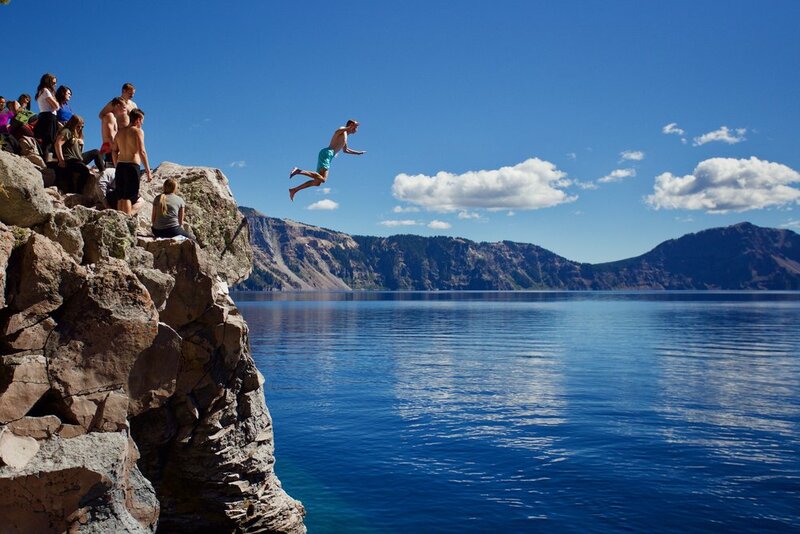 But nothing compares to Crater Lake. It is not just the color of blue, it is the concept of blue. Your eyes look out at the scene and send signals back to your brain saying “this image has been tampered with, it cannot be real”, and you are tempted to believe it, but then again, you see what you see. It is wild and quiet here. A giant magma chamber once filled this frame, but it grew so large it buckled under its own weight, pulling in the entire mountain above it, covering land in ash and debris for miles and miles, feet deep. The collapsed Mount Mazama became a crater, and the crater slowly filled up with water. Pure water from the melting snow, with no river or stream feeding it. 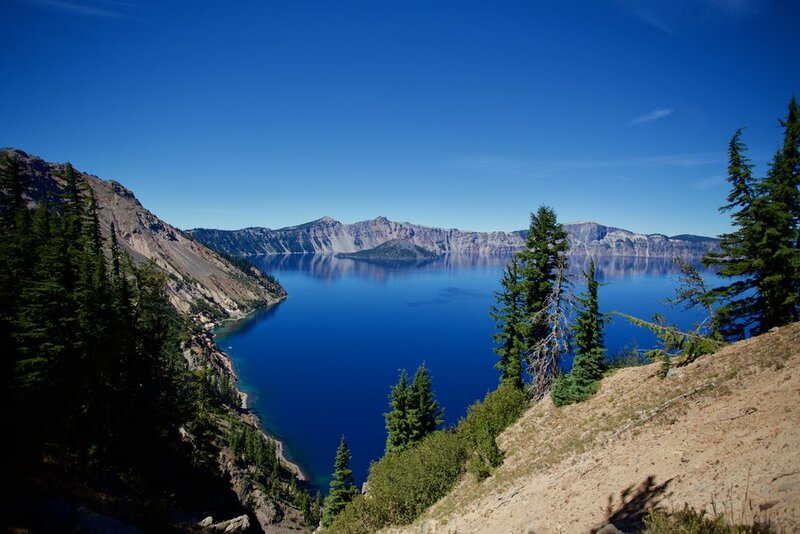 Crater Lake contains some of the very purest and clearest water in the world, and it is a sight to behold. I've visited Crater Lake before and didn't intend to on my roadtrip...but then I got into a serious car accident on the Oregon coast and ended up spending Labor Day weekend with my cousins who live in Corvallis, OR. The abrupt change of plans rearranged my schedule, and allowed for a day trip to Crater Lake with Jordan, Thani, and my friend and travel buddy Jordan Hayes...a day trip full of blues upon blues, and jumping into freezing cold water...well worth it! 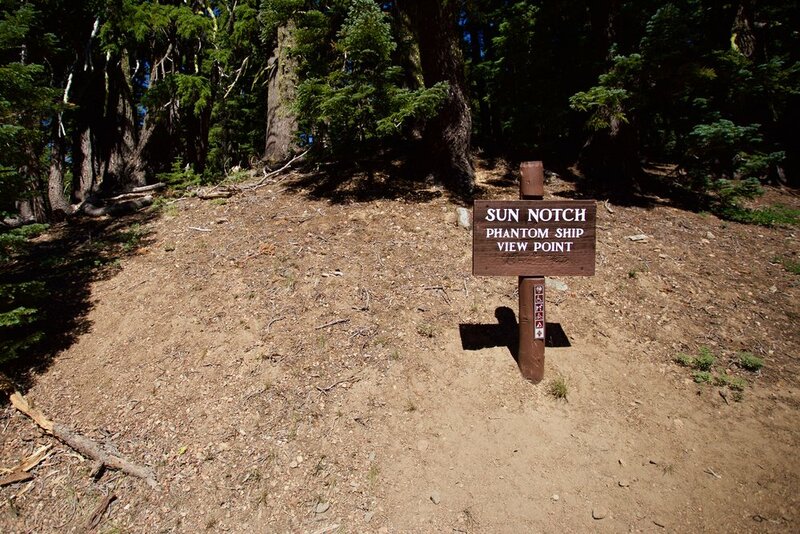 Crater Lake National Park became the 5th National Park on May 22, 1902, and is located in Oregon.